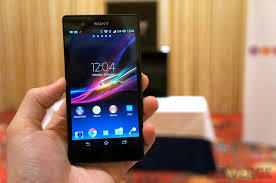 I know many of you Sony Xperia Z users must be eager to flash their phones right now because I always am. The flashing of phones which are new is a challenging and funny business. The very idea of flashing your newest phones gives you the feeling of that one up man ship over the manufacturer. Don't forget flashing a phone also increases certain aspects of its working and unlocks a few hidden doors. Now the latest challenge before the active Android community is flashing or unlocking the Sony Xperia Z phone. Though as I have said earlier, it is fun unlocking a phone but in case of Xperia Z, you have to take care of a few things before flashing it. First and foremost, remember that Sony Xperia Z packs a DRM software which is required for running the Bravia Engine(which is one of best hardware on Xperia Z), TrackId and most important of the OTA updates. So flashing Xperia Z would make these important softwares unworkable. However the formidable XDA forums have succeeded in taking a backup of the TA partition before flashing your Xperia Z. The TA partition hold the DRM information so you have to back up your TA partition before flashing Xperia Z and then restore the TA partition on the flashed phone and you are good to go. If you have already flashed your phone without backing up then this article is useless to you because restoring a TA partition from other phones will render your phone useless or hard bricked as it seems the TA partition is unique to every phone. Read this article from XDA Forums for details. If you want a full tutorial on flashing your Xperia Z please visit the XDA Forums website. Remember, flashing a phone voids it warranty and do not do it if you are not comfortable with the tinkering. Please write in your comments on the article.